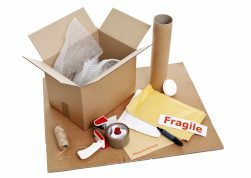 Moving furniture is a very physically demanding job and as so carries an inherent risk of injury to the moving company employees. The better moving companies attempt to manage this risk through a comprehensive safety training program as well as carrying protection for their employees and customers through the Texas Workers Compensation Insurance System. The following information is provided in order to give you, the customer or realtor, a clearer understanding of the differences in employee injury coverage’s and the importance of considering a moving company that carries Workers Compensation for their employees. Texas is the only state which does not, by law, require employers to carry Workers Compensation Insurance. Many employers opt out of carrying Workers Compensation due to the excessive cost of the premiums, which can be double other types of coverage such as an employee accident policy. There are however, significant differences between Workers Compensation Insurance and Employee Accident Policies. Workers Compensation Insurance provides medical benefits and lost wages to employees injured in the course and scope of their employment. For you the customer, this means if an employee is injured while moving your goods, and cannot work, they can look to the Workers Compensation carrier for relief. Workers Compensation provides medical benefits for life, if necessary, and wage indemnity for up to 500 weeks (over 40 years). In addition, there are no co-pays for in-network medical expenses, no waiting periods for wages other than the first week which is reimbursed after the fourth week, and a pre-determined fixed settlement for full or partial permanent disability. An alternative to Workers Compensation is a managed Employee Accident Policy, which provides similar medical and wage benefits, but with a typical cap on benefits of 1 or 2 years. This limit to the coverage leaves open a greater chance of the employee seeking additional relief through the homeowner’s insurance policy. These differences in policies are evident and enforced in the commercial sector in that companies that do not specifically carry Workers Compensation in the statutory limits are typically not allowed to work in commercial office buildings. This is due to the increased liability risk to the management company and building owners. This increased risk is something to consider on residential moves as well. Of course using a person or company that has no insurance for an injured employee is the greatest liability risk possible to the homeowner. Insurance in the moving industry is quite technical. Don’t settle for an answer of yes to a question of “do you have insurance”? There are many insurance policies that specifically cover different situations, furniture, building, employees, vehicles, bonds, excess, etc. and should be carried by the company you choose. You have the right to request a summary copy of companies insurance coverage’s as is common practice in office buildings. 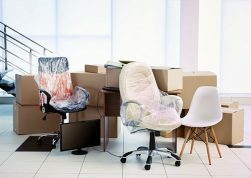 No one can guarantee that an injured employee will not pursue a claim that a homeowner’s negligence contributed to or caused an injury during a move. However, MoveStar believes that the homeowner’s risk is reduced by its comprehensive safety training programs and its commitment to carry statutory Workers Compensation Insurance. Despite its higher cost MoveStar believes that maintaining Workers Compensation Insurance is a sound business practice which protects its workers and is in the best interest of its customer.